July 4th is rapidly approaching, do you know where your pies are? Celebrate our nation's independence and impress your friends by serving pie. It doesn't matter if you make it from scratch, order it from your neighborhood pie shop, or purchase it pre-made from the grocery store -- get your pies, folks! I'm planning to bake two pies - Smitten Kitchen's Strawberry Rhubarb and Butter & Scotch's S'mores - but if baking isn't your jam then try my favorite NYC pie shop Petee's Pie Company. 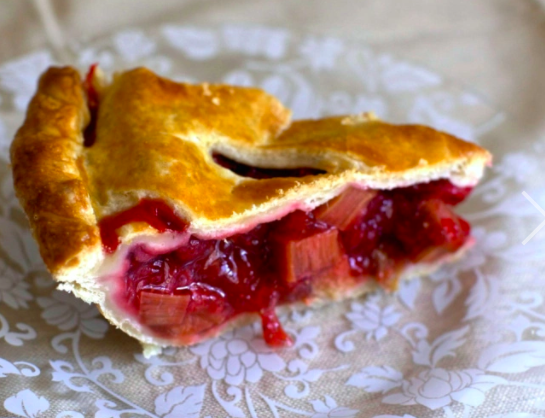 You can order their NY Sour Cherry pie made from the freshest locally sourced ingredients. Their sour cherries come directly from Samascott Orchards, a family owned and operated farm in Kinderhook, NY. If don't like cherry pie then choose from dozens of others. Celebrate accordingly with 10% OFF any order placed through July 1st with code REDWHITE&PIE. Offer valid for online orders only. I love icebox pies in the summer! I found a stack of enticing recipes at Southern Living and I plan on making every single one by summer's end. They're my new obsession! 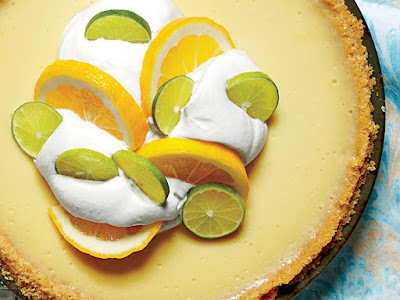 The first recipe I tackled was for Key Lime-Buttermilk Icebox Pie. I swapped out the Buttery Cracker Crust for a gluten-free graham cracker crust and used Manhattan Key Lime Juice since it's impossible to find key limes in New York City. The results were spot-on, the tart deliciousness of key lime pie and the creaminess of frozen ice cream! Preheat oven to 325º F. Whisk together the first 3 ingredients in a bowl. Beat egg yolks with a handheld mixer in a medium bowl at high speed 4 to 5 minutes or until yolks become pale and ribbons form on the surface of mixture when beater is lifted. Gradually whisk in sweetened condensed milk mixture, and whisk until thoroughly combined; whisk in buttermilk. Pour mixture into prepared crust. Bake at 325º for 20 to 25 minutes or until set around edges. (Pie will be slightly jiggly.) Cool on wire rack 1 hour. Cover pie with lightly greased (with cooking spray) plastic wrap, and freeze 4 5o 6 hours. *the crust recipe calls for 6 Tbsp of melted butter but I would reduce to 5 Tbsp, otherwise the mixture is too wet. 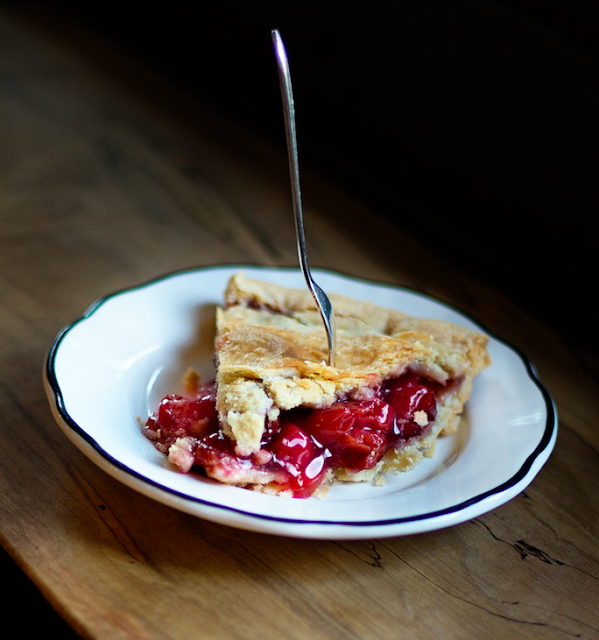 The following Strawberry-Rhubarb Pie recipe from Smitten Kitchen is the next pie on my baking agenda. It's Deb Perelman's new and improved recipe (no saggy bottom pies for her)... and doesn't it look absolutely scrumptious? I want a piece! Follow @smittenkitchen on Instagram --- nothing short of pure eye-candy.